All these vegetables grow underground. They have leafy green stems that grow above ground. 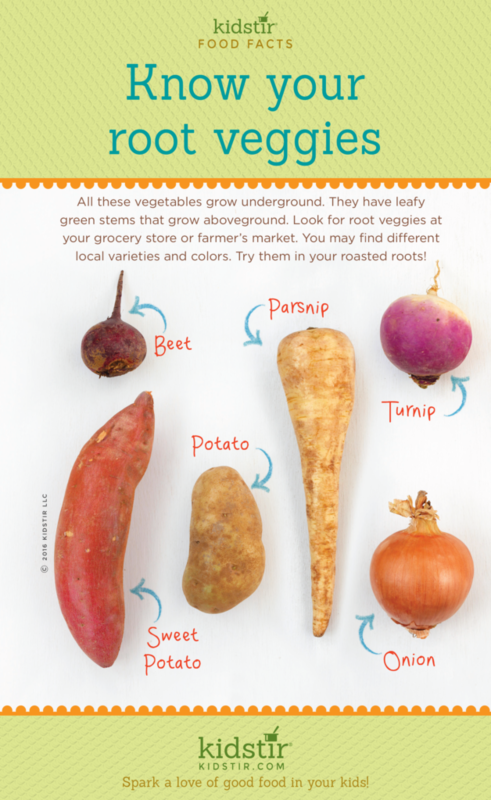 Look for root vegetables at your grocery store or farmer’s market You may find different local varieties and colors. Try them in your roasted roots. Yams, beets, parsnips, turnips, rutabagas, carrots, yuca, kohlrabi, onions, garlic, celery root (or celeriac), horseradish, daikon, turmeric, jicama, Jerusalem artichokes, radishes, and ginger are all considered roots. Because root vegetables grow underground, they absorb a great amount of nutrients from the soil. They are packed with a high concentration of antioxidants, Vitamins C, B, A, and iron, helping to cleanse your system. 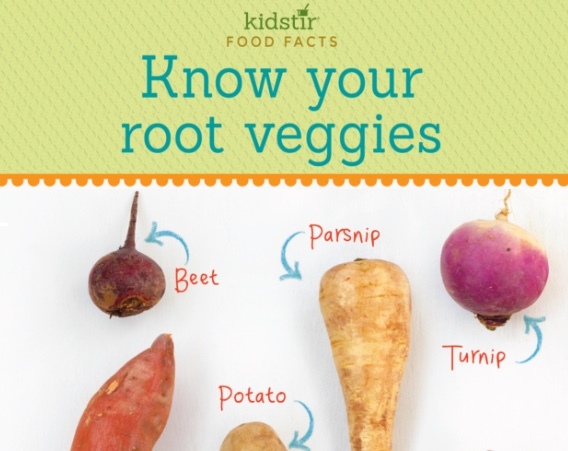 We’d love to offer our Kids Root Veggies Infographic for you to share on your blog. Just select and copy the code snippet below and paste into your next blog post. We’d love for everyone to share this page on social media or email using the buttons below so all the kids you know can learn about Root Veggies!